Family law is a sensitive and complex area of law. Each Portland, Oregon divorce attorney at our firm takes the time to listen to our clients, using their knowledge, experience, and the significant resources available to our firm to build personalized strategies that will help protect what our clients value most. McKinley Irvin is a premier family law firm in Oregon. Since 2011, we have been helping individuals in and around Portland who find themselves in critical, family-related legal situations, and who need experienced representation to help them obtain the best possible outcome. Family law cases can impact every aspect of your life, as well as the people you love. Our Oregon divorce firm can provide the right lawyer to provide personal, individualized service and work closely with you to achieve the results you need. We invite you to contact our firm for more information. 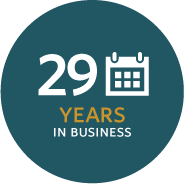 McKinley Irvin has provided Pacific Northwest families with first-class family law services for almost three decades. 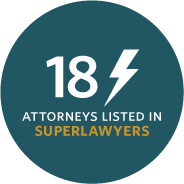 Many of our attorneys have been recognized for their professionalism and legal ability by The Best Lawyers in America®, Thompson Reuter’s Super Lawyers® and Rising Stars℠, and other peer review rating services. Our exceptional team includes six fellows with the American Academy of Matrimonial Lawyers™. Our firm offers comprehensive counsel in both traditional and complex family law matters. By devoting our practice to family law exclusively, we are equipped with the experience and insight needed to successfully resolve our clients' cases. Many of our lawyers are skilled in subspecialties of family law, such as international cases and high value property, business, and financial distributions. It is our goal to achieve the best possible results for our clients, while at the same time providing outstanding personal service. We are committed to delivering compassionate, responsive, and proactive representation. With offices in Portland and Vancouver, our firm makes it convenient for lawyers and clients to meet. For added convenience, we offer same-day consultations, phone consultations, and videoconferencing.